Painting and Words by Guest Blogger + Art on the Farm artist: Micaela Marsden. 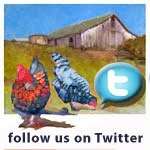 Cerini Ranch in Tomales, California is owned by the Doughty family, proprietors of the Pt. Reyes Vineyards and Winery on Rt. 1 overlooking Tomales Bay. This ranch is just North of Hog Island Oysters, and neighbors the Strauss Family Dairy. 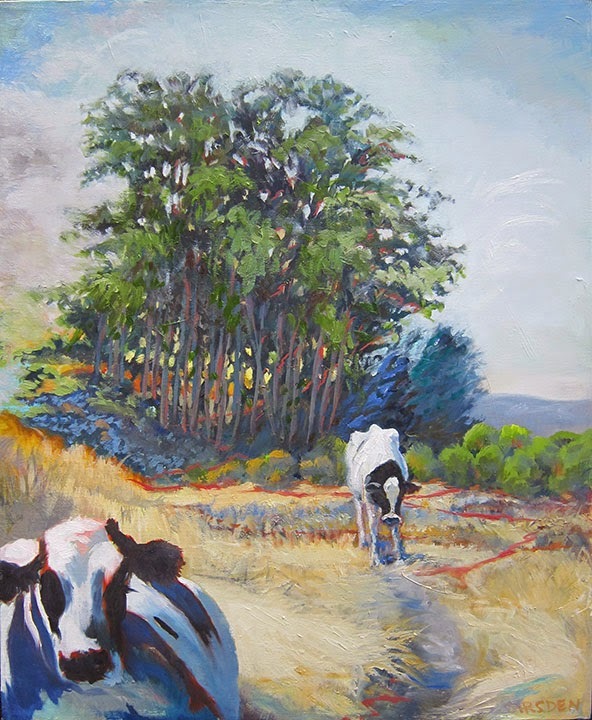 This is a wonderful place to paint, with many acres of rolling hills, clumps of gorgeous trees, and of course, many cows. I had the privilege of painting there a few years ago with Art on the Farm. You may view additional photos of Cerini during our artist visit here, on the photo blog of Photographer, Ann Brooks. New Artist Visits.... Coming soon!